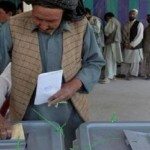 The fiasco of the Afghan presidential election of 2009 is an object lesson in the consequences of blithely marching into alien territory and attempting to impose by force Western notions of liberal democracy on an ancient and complex kinship culture in which clan loyalties invariably take precedence over national identity. After the UN (United Nations) forces ousted the Taliban in 2002, pro-western Hamid Karzai was installed as a ‘safe’ transitional leader. At the first presidential election in 2004 Karzai, backed by America, unsurprisingly obtained the necessary 50 per cent of the vote to grant him a five-year term. But by 2009 he was no longer the golden boy. The Americans were rooting for his main opponent, Dr Abdullah. In southern Afghanistan, where the Taliban still hold sway, the election was boycotted – the polling stations simply did not open. Karzai’s campaign team went to the other extreme – they indulged in bare-faced corruption by inventing ghost polling stations, registering literally millions of fake voters and stuffing the ballot to achieve a 54.6 per cent majority. America tried to pressurize Karzai into a power-sharing deal. When that failed they demanded a second round of the election; at which point Dr Abdullah had the grace (or was persuaded – who knows how a kinship culture works?) to bow out and Karzai was reinstated as president. The UN was left with egg on its face. The election had to be seen to be a success in order to justify the eight-year military occupation. By the standards of Western democracy the entire electoral process was a nonsense – but then in Afghan cultural terms the very concept of individual political enfranchisement is a nonsense. The farcical level of corruption merely demonstrated the impotence of the occupying forces in the face of the complex problems of the region. Toll: According to Amnesty international ‘the highest level of civilian casualties since the fall of the Taliban in 2002 has been registered in Afghanistan in the period around the elections’. The security situation grew worse than ever and any Afghanis relying on the UN to create political stability have seen their hopes completely dashed. You should know: America had decided to invade Afghanistan and overthrow the Taliban long before 9/11. The terrorist attack on the Twin Towers merely provided a pretext and ensured UN backing.